Is G2 Esports the only real team in Hearthstone? Something new to Hearthstone happened in the recent Curse Trials tournament that really caught my eye. G2 Esports (Lifecoach, RDU, Thijs) had spent time creating and testing decks together and they all brought the same lineup to the tournament, much like teams in Magic do (for example, think ChannelFireball, Face-to-Face Games, and East West Bowl in the Pro Tour Gate of the Oathwatch recently). 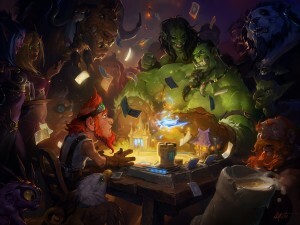 This had not happened in Hearthstone before, but it is interesting to speculate whether this kind of team environment could become commonplace.